9′ Walnut Crotch Slab Custom Dining Table with solid walnut slab ends. Unique, unusual, one of a kind custom walnut tables are made to order in Montana and shipped world wide. 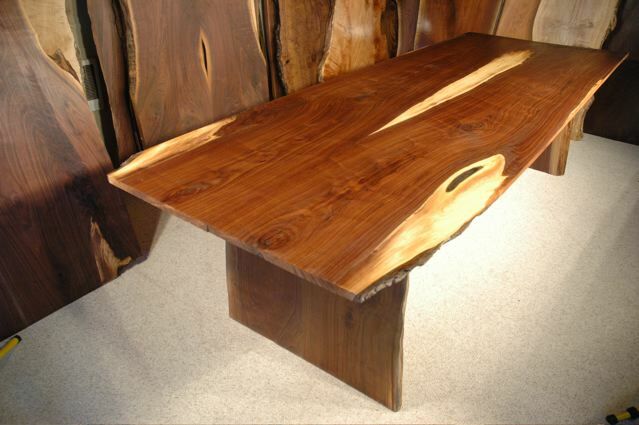 American Black Walnut custom dining table featuring walnut crotch top, and natural edged walnut slab base. We have many slab tables in stock to choose from. Call us today about a custom slab dining table.